This time last year, the Cavs were sat at home trying not to be too jealous of LeBron James taking part in another NBA Conference Final and the Atlanta Hawks were still trying to forget about their opening round playoff defeat. A year can be a short time in basketball and both of these teams will be much happier being where they are today than where they were a year ago. The signing of LeBron has transformed the Cavaliers and while it hasn’t always been easy, the team has been on fire this year and many people are tipping them as a team who can go all the way. When you are down to the Final Four, it is fair to say that anything can happen, but there is definitely a lot of money being placed on the Cavs. For the Hawks, they are a team that managed to win 60 games in the regular season and they rightly stand as number one seeds in the East. They will not be standing back and watching LeBron dominate this series, they will look to make the most of the opportunity that has come their way at the moment, because you never know when another season like this is going to come around. There is a lot riding on this series for both teams and Game 1 gets us underway on Wednesday night. Before we get too caught up in the excitement of Wednesday night, let’s quickly recap on Tuesday evening. In the opening game of the Western Conference Final on Tuesday night, the Golden State Warriors helped themselves to a 1-0 lead in the series against the Houston Rockets. The Warriors won the game by a 110-106 score line and with another home game to follow on Thursday; the Warriors will be looking to build a commanding lead before they hit the road. In other NBA news, the Minnesota Timberwolves landed the first pick of the 2015 NBA Draft. They may have lost 66 games over the course of the 2014/15 season but the Timberwolves were winners on Tuesday night. Second pick goes to the Los Angeles Lakers, third pick goes to the Philadelphia 76ers, the New York Knicks have the fourth choice and then the Orlando Magic comes in with the 5th choice. There is no getting away from the fact that James is here to win the title for the Cavaliers. He was successful in two years with the Heat and he lost out in the Finals in the other two years he was in Miami so he knows all about taking it to the end of the season. Atlanta understand this, but they have a chance to stop that celebration and work up one of their own. LeBron has already led the Cavaliers to one NBA Finals, all the way back in 2007, but the Spurs swept them aside, and of course, this is a very different LeBron James. That was 8 years ago, and he is a much stronger and experienced player now, so if he can turn up in this series, there is every chance that Cleveland will fancy themselves to grab their first ever title win. The Hawks found the regular season to be quite enjoyable but the playoffs have bene trickier. The opening round saw a very touch encounter with the Nets, tougher than even the most pessimistic fans would have predicted and there was plenty of drama in the series against the Washington Wizards. Two of these games were decided at the buzzer and another two were decided very late on, so you can imagine that the Hawks are feeling a bit jaded by their endeavours so far. However, while they may be slightly more mentally and physically jaded than the Cavaliers, there is a sense of adrenaline that comes from late winners and triumphing in close battles that you don’t get from run of the mill wins. Anyone looking for a psychological advantage in this clash may find that it is not as obvious or as apparent as they would like to think. DeMarre Carroll is likely to be the man that is closest to LeBron for most of the game, and you can expect him to be on the tail of the key Cleveland player in this series. It is not all defensive work for DeMarre though, with an average of 17.1 points per game, he is the leading scorer for the Hawks in the playoffs so far. 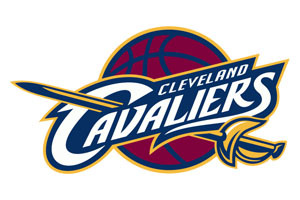 The Cavaliers will be concerned about the health and fitness of their team. Kevin love is absent while Kyrie Irving is suffering from tendinitis in his left knee, although he should be okay to play. Iman Shumpert and Tristian Thompson are also carrying knocks, so the Cavs may be below their best. The only injury problem that the Hawks have is the long term absence of Thabo Sefolosha. The Cavaliers are currently 61-31 for the season which includes a 26-20 record for the road, and an 8-2 record in their last 10 games. The Hawks are 68-26 for the season, which includes a 40-7 record at home, which is quite formidable, and a 6-4 record in their 10 most recent games. The Cavs have a narrow lead with respect to average points for, 102.8 to 102.2 while the Hawks have a more notable lead when it comes to average points against, 96.9 to 98.0. 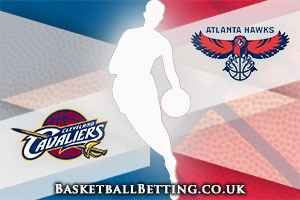 The bookmakers think that this is going to be a tight affair in Atlanta on Wednesday night. You can take the Cavaliers with a +1 handicap, at odds of 1.90, and this should provide you with plenty of interest in Game 1 of this Eastern Final. If you are keen to take part in the Over/Under market, be sure to go OVER 197.0 at odds of 1.90 for this game. Bet Now!